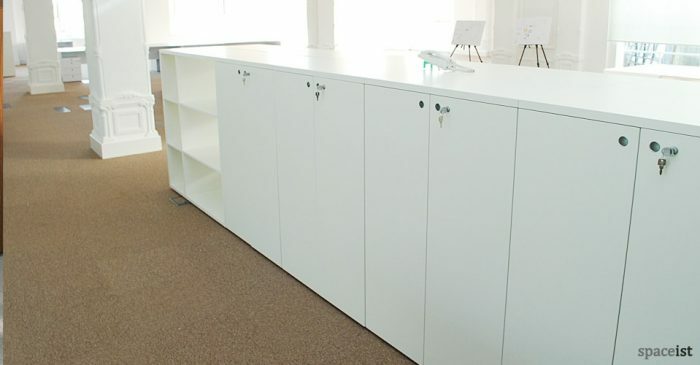 Categories: Office ranges, Storage & side boards, White storage, Forty5 desk range, Office storage, Meeting storage. 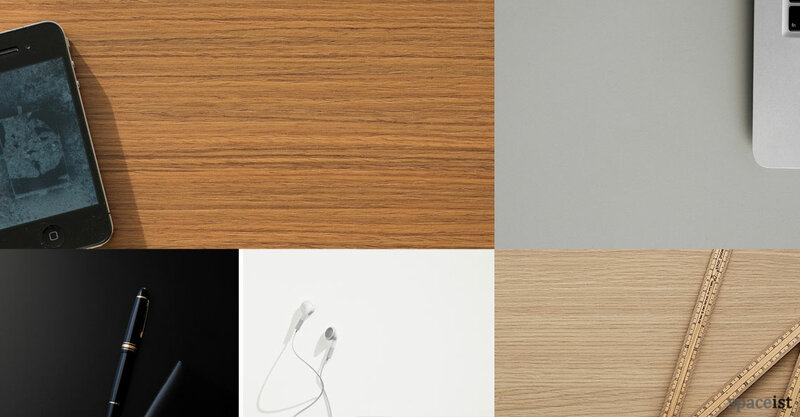 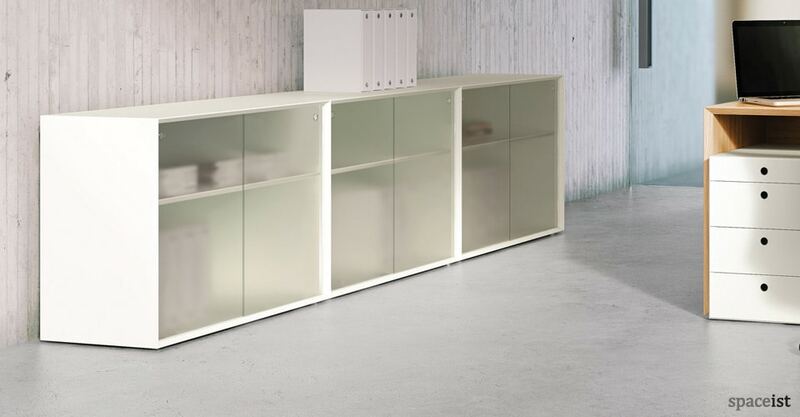 New Forty-five sliding door office cabinets are available in white melamine finish. White comes with a matching 45° angled edge. 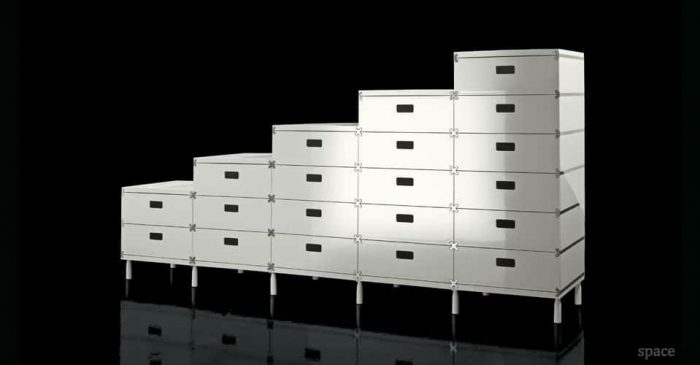 Storage units are available with a sound-reduction or plain finished back panels for use in open walkways. 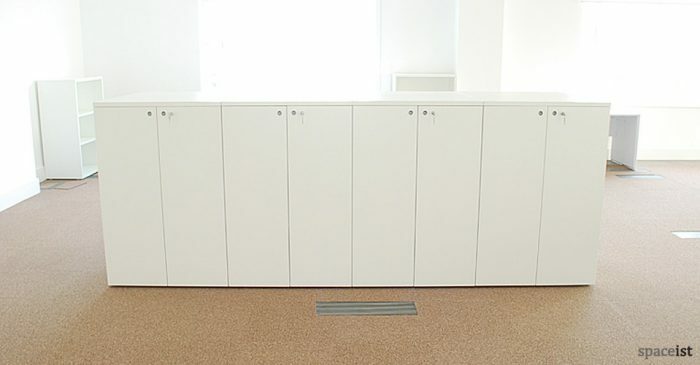 Matching desking system and executive desks.